Looking back at the Rio Olympics, a strong sense of ‘Mobile First’ has emerged that brings the focus back to mobile search. It’s a fairly new chat phrase that’s doing the rounds of tech circles after the much talked about ‘Big Data’ revolution. Rapid growth in mobile consumption has made the Rio games witness a nearly 150% jump in video streams over the previous edition. This demonstrates that almost all content in the future will take the mobile route for distribution. But, it can become a reality only when the mobile evolves and becomes a truly intuitive device for content consumption. With most users starting their mobile journey pretty early on in life, the average age of mobile users has come down drastically over the years. Mobile users are now demanding greater autonomy and control on search and discovery, more so than ever before. Their aspirational mobile experience revolves around search results that matter to them the most. To that effect, the user’s intent and the context in which it is expressed will decide the manner in which content reaches consumers in the future. Intent-based technologies are thus poised to emerge as the ‘next big thing’ to revolutionize mobile search and discovery. To reach out to consumers who wish to access their desired content, when they want, and however they like it, engagement on the mobile is all set to make a big splash by going viral through mediums such as chat, messengers, social networks and the likes. Instantaneous and spontaneous response to users’ intents and expressions on the mobile opens up a whole new world of possibilities for discovery. To see what’s making heads turn, let’s look at some popular user-initiated scenarios that come part and parcel with the Xploree keyboard. Most of us use the internet’s information highway to access almost anything and everything through search engines like Google. We do this quite simply by expressing our needs with the keywords that are closest to our intent. It may be a single word or a typed search strings. Xploree makes the user search experience more integrated through its next-gen, artificial intelligence (AI) technology which is capable of predicting the user’s area of interest with great accuracy. While customers are at it on their phones, Xploree looks to deciphers their intent conveyed through the typed string or keyword. Further, it makes the mobile friendlier with its highly predictive and intuitive, multi-lingual keypad which doubles up as a personal assistant which serves meaningful suggestions. Most of us are expecting low to almost zero waiting time for getting our needs sorted on the net through relevant search results. Our behavior is largely influenced by on-the-go access to the internet data powered by the mobile. While using the phone to browse, chat, share, discover, install apps and do more, we have also become habituated to look at icons that depict notifications. When we are at it, Xploree opens up a delightful, non-intrusive information gateway that speaks about our possible interest areas to look at. 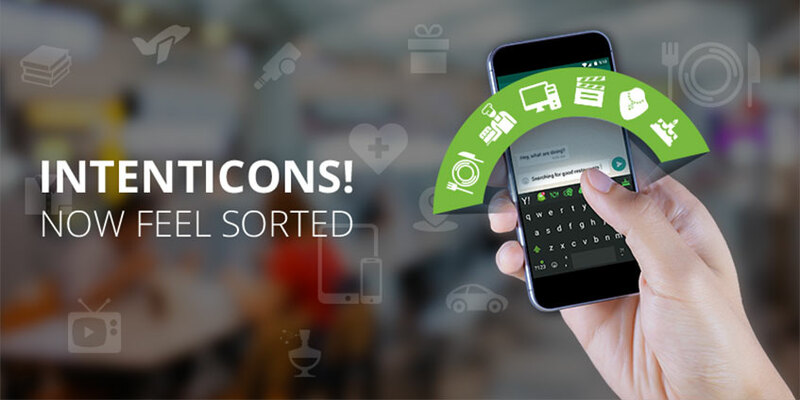 Intenticons within the Xploree smart keyboard come extremely handy in this regard as they serve relevant content by prompting a set of highly imaginative and interactive icons to tap at. The experience thus derived is completely self-triggered and dispensed at our convenience. It has almost become like a habit for us to seek reviews, advice, suggestions and do a lot more over our vast social landscape of friends, relatives and acquaintances. This critical need is further amplified through Xploree engagement cards. We can now draw instant solutions through these cards and share them inside our chat windows. these cards also solve an inherent need among to store suggestions on topics of general interests, products and services while also making it sharable. They do so while we choose to chat with friends, browse the internet and play around with apps. You name the social channel, and Xploree promises to deliver the most apt content at the user’s precise moment of need. This feature is immensely helpful as it allows real time collaboration and at the right time. Given the rising of popularity of social and messaging apps as a means of drawing brand engagement the world over, a similar trend is duly anticipated in India too. 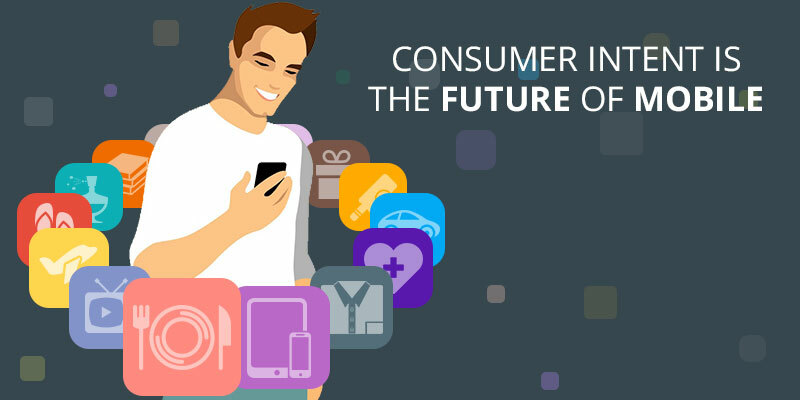 With chat messengers emerging as the most downloaded apps in the country, Xploree’s intent driven technology is expected to go a long way in powering consumer experience on mobile in the future. In spite of growth in app downloads and installations, mobile users in India are known to spend a significant amount of time on chat. Users typically rely on chat messengers for drawing suggestions, seeking guidance, and for conversing in general. Native Indian mobile users are also known to converse in a multitude of regional languages while at it. Many mobile users nevertheless end up using the Xploree keyboard to tap its multi-lingual and easy switch in between languages capabilities. They almost always end up expressing their intents with the help of icons, emojis or emoticons as we know it. By describing intents visually, the newly introduced Intenticons feature within the Xploree app vastly improves the basic keyboard by bringing a need-based suggestive aspect to it. With the dawn of digital communication, a friendly face on conversations has almost become a norm in all daily chat and emails. These icons have since come a long way from merely clarifying statements and conveying humor or amusement. Be it the indication to kick off a party, to express gratitude, or to quite simply in the Indian context, do a ‘Namaste’, the use of these images have come to capture human imagination in the most fascinating manner. This new release by Xploree expands the scope and utility of such icons by reflecting users’ mood and their need of the hour. Driving user context from human conversations is at the heart of Intenticon’s purpose to make the mobile a more helpful device. Aimed at taking emoticons to their next logical step, Intenticons capture long intents expressed by users and show responsive images that bring a sense of help and support. An invention that harbors on human sentiments, Intenticons are slated to play a key role in deciphering real intent from a set of words expressed by users within their chat windows or while simply browsing. Glancing at the images below, we can see how mobile devices can gain a better understanding of our expression thanks to the use of Intenticons. Currently, the Xploree keyboard supports 110+ languages, and this presents an attractive opportunity for reaching out to customers in India who use the Xploree app for its versatility. Statistics suggest, the average number of hours spent on mobiles is inching closer to that of television in India, a medium that is steadily losing viewership. With the year-over-year growth of image embedded campaigns reaching close to 777%, the utility of Intenticons finds growing advocacy among many marketers in the country. For them, the timing of their content’s delivery has become especially important to triggers a favorable response. It is estimated that India will witness a substantial increase in click through rates with the help of search induced and chat-based intents. By making a new beginning in this direction, Intenticons seek to drive transactions in the online mobile search space. Furthermore, this new feature by Xploree will take the user’s browsing experience to a whole new level of unhindered and interruption-free explorations. Therefore, it is safe to conclude that Intenticons are on the way to becoming one of the most sought after mediums for mobile discoveries. The product development team of Xploree undertook numerous rounds of meetings to decide upon the name for these icons that are set to revolutionize content discovery and consumer engagement. The team sat down one fine Friday afternoon, a usual practice to catch up at lunch, before brainstorming on the apt name for these icons. By then, a buzz had already been created around some popular suggestions. To know more about the build-up and the final decisive result, stay tuned and read more. Also, join us and let our UI experts help you discover innovative ways to improve customer engagement through user-friendly campaigns. Mobile adoption rate has been exponential in the last few years and has exceeded desktop usage in most part of the world today. Whether accessing content, checking email, playing games, making purchases or listening to music, users expect easy interactions with brands and services to find what they are looking for. Mobile POS is extremely valuable for businesses and creating the most efficient path to discovery of a brand’s products or services is the best solution to engaging and retaining your users. However, businesses are not able to keep up with the rising consumer expectations. Do you know your user’s intent at present or in the next moment? Knowing user intent is the key to adding powerful precision to personalization. 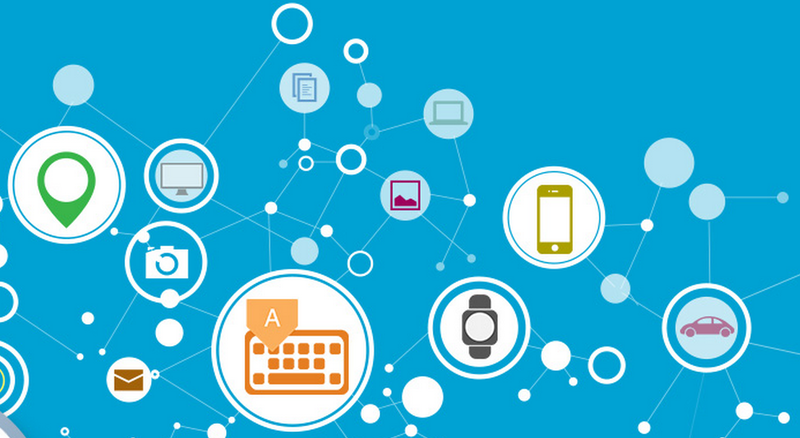 Personalization leads to relevance, engagement and ultimately user loyalty. Contextual content recommendation is easier on mobile through the vast amount of data that we can acquire from user’s actions. The more we focus on the purpose and the next step in a consumer’s journey, the better we can accomplish the mission to serve users in complete context. “Measuring cost per clicks, impressions, downloads etc. have been the traditional ways to gauge the effectiveness of a mobile advertising campaign. With evolving context aware technologies and enhanced mobile data capabilities it’s easier for us to wean off dependencies on traditional models that rely on behavior, location etc. 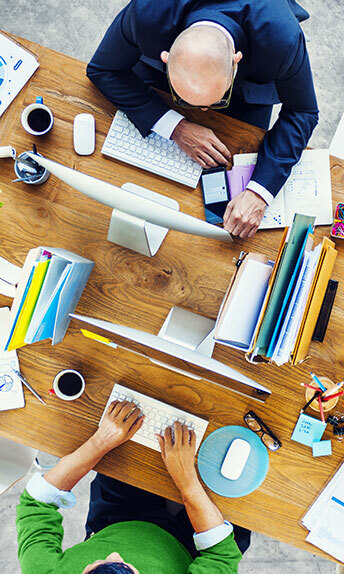 What matters more is understanding the consumers’ journey, preferences and intent.” Says Prima Dona, VP Product Innovation at KeyPoint Technologies. 2.User Initiated – Discovery of Experiences. Brands and marketers are flooded with opportunities today to reach segments of users at random points of time. These are non-productive moments of a user who maybe seeking out opinion from friends on a new car but ends up seeing a brand message on washing machines. Or think of a scenario where a user is casually glancing through his social wall and seeing a content recommendation of a car pooling app. And the day he really needs a car pooling app, that very same brand is unable to reach him. Marketers end up often on the other side of a solution channel where the proximity to user intent is minimal and a typical shoot and wait approach needs to be followed. The frustration of users seeing irrelevant or current approaches of behavior and location optimized brand outreach translates into negative perception of your brand. Considering how we all perceive mobile as a personal device, it’s about time to give users more control on how and when they access information. Give your users a quality experience by letting them discover information and offers during their daily interactions on their mobile devices. The more marketers and businesses invest time in increasing trust with their customers, the more they’ll get rewarded through consumer loyalty and conversions. Consumers love deals, and in the last couple of years have been more engaged on mobile loyalty programs since the mobile apps make it easier for them to collect and redeem points. Over 2014, Starbucks My Rewards program had over 10 million customers with around 1.5 billion in revenue from mobile only. eMarketer expects the number of adults who redeem coupons via mobile device for either online or offline shopping to rise from 78.69 million to 104.11 million between 2014 and 2016, or from 70.0% to 82.0% of all digital couponers. It’s no doubt that loyalty efforts are most effective mobile marketing campaigns, rewarding for the users and translates to higher conversions for the businesses. It’s all about making a user’s journey pleasant, easy and more relevant by satisfying their needs, intents and expectations. Bridging the gap between intent and action with relevance and engagement is the most effective way to build authentic relationships with the consumers. There is a sense of delight in discovery for a consumer that leads him to seek out more from the brand. All good stuff follows. Contact us to know how Xploree provides hyper-contextual recommendations in real-time in a seamless and unobtrusive way to mobile users with relevance and engagement. 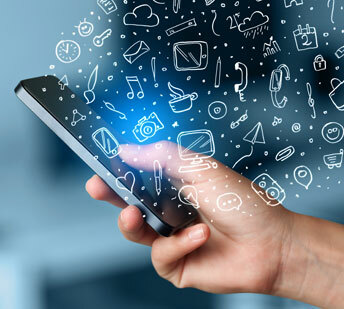 Mobile offers a unique marketing opportunity that enables brands and marketers to interact with their consumers in the closest proximity to user intent and action. Mobile users are different than those searching on the desktop. With a shorter attention span and world full of distractions, immediacy of finding information, high relevance of content and ease of making a quick decision are some expectations of a mobile user. Successful marketing is simply about making it easier for consumers to get the things they want, when they want it, and in context. The more we know about what, when and where our users are searching for something, or taking it a notch higher by predicting a user’s intent or actions we have the capability to present better and highly relevant content in the exact moment of need. That’s context. When they need it, they need it right then. Finding relevant information on mobile whenever and wherever is a demand and expectation, if you cannot provide that information fast enough then there is a high probability that your audience or customers will leave. It can be a challenge but also a huge opportunity for technology to cater to the demands of mobile users in their ‘mobile moments’. Search, action and conversion happens in a fraction of time on smartphones as compared to a desktop or even tablets Research shows that 70% of mobile search leads to action within an hour. Including an easy and clear call-to-action in marketing campaigns or applications will make consumer interaction on mobile more effective and give you a competitive edge. Success of any application, platform or a marketing campaign lies in giving its users a positive and meaningful experience. “The single biggest driver of stickiness, by far, was “decision simplicity”—the ease with which consumers can gather trustworthy information about a product and confidently and efficiently weigh their purchase options. What consumers want from marketers is, simply, simplicity.” Harvard Business Review’s Corporate Executive Board’s survey report of more than 7,000 consumers and interviews with hundreds of marketing executives and other experts around the world. Creating an easy path to decision is the best path. Perhaps the best example is the “two tap rule” as defined by Yahoo’s Marissa Mayer. The test for the rule is simple, says Mayer: “Once you’re in the app, is it two taps to do anything you want to do?” If yes – the app is a go. If no, it’s back to the drawing board. We’re glad to be following and implementing the two tap rule on our platform where you discover what you want in one tap and complete an action in another! It’s quite evident from what we see around that a positive connect happens when users find information in context, immediacy and with ease. The aim to delight consumers in their journey is an essential element to success. About Xploree: Xploree is the industry’s first user-initiated, hyper-contextual, platform with language intelligence that conveniently connects mobile device users with brands offers and services in the exact moment of need. 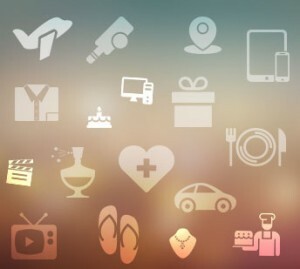 Xploree predicts a user’s needs and delights them through their journey across applications as they discover most relevant content, apps, deals and services. Contact us at info@xploree.com to know more. Being context aware is about knowing location, identity, activity and time. Many context-aware technologies give a huge importance to location, but location is just one aspect of context, not the context. Location awareness can improve user experience, but knowing a user’s preferences and specific environment makes it all the more personal and all the more powerful. Mobile apps and devices can tap into this information, as can ad platforms, to create relevant experiences for consumers. 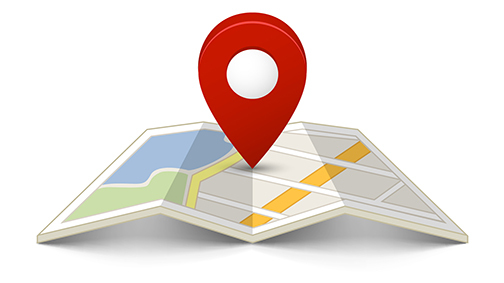 Location is certainly important, but it’s just one piece of the puzzle. There are plenty of applications that use location-awareness successfully from tracking deliveries to managing inventory or simply helping a user find their lost smartphone, or even a pet. But what if those same applications could know, not just where you are, but what you’re doing? Or better yet, what you’ll be doing or needing in the future. In that case, you’ll get a lot more targeted and helpful information rather than educated guesses. According to Gartner Inc., “context-aware technologies will affect $96 billion of annual consumer spending worldwide by 2015.” In addition, the company’s research shows that by next year, 40 percent of smartphone users will opt-in to context service providers that track their activities. This would equal about 720 million people, by their count. The research company believes that transportation, utilities, energy and healthcare firms, in particular, stand to gain from these trends. Currently, context-awareness is being leveraged by mobile applications and wearable technology such as fitness trackers from companies like Fitbit, Garmin and Nike as well as numerous smart watches like the upcoming Apple Watch, and finally, Google Glass. In the app realm, one example is Easilydo, a virtual assistant that manages your contacts, calendar and more, in much the same way that Google Now does, by learning from your actions and stored data. These smart apps and devices are still limited in their intelligence; they only know what a user shares whether it be actively or passively. For example, location-awareness becomes a challenge when one is indoors and out of range of Wi-Fi. Beacons, standalone devices that beam Bluetooth signals, are one solution that can be seen in the retail sector, where stores can communicate with shoppers, for example. Apple has joined the game with iBeacon, which is built into its devices and OS and can communicate with compatible beacons at retailers. Additionally, apps like Placed can be used to launch apps based on which room of your house you’re in, which makes the beacon experience more personal. But there is so much more potential to be tapped in this arena. On the business side, mobile ad platforms can use your location to serve ads, but they can become more targeted through user profiling. Here too, location is just one tool at their disposal. InMobi, a mobile ad network, uses context-aware technology to create “SmartAds” which exploit a user’s immediate environment to trigger relevant ads. For instance, a user checking the weather on a hot summer day might see an ad for a cold drink or an air conditioner; conversely, on a snowy day, that same user might see an for a hot drink or winter boots. Looking into the future, a platform that knows not only that a user is at a ski resort, but is actually skiing, could serve ads for nearby après ski locations, or other relevant businesses and services. These apps and devices are only scratching the surface. Currently, all of them require at least some user intervention or prompting. Eventually, we’ll see smarter applications that can infer more about a user, digging deeper into their interests and preferences and learning from mistakes. For instance, apps could know without explicitly asking, where a user works and lives and what their regular schedule entails, and when they might need a break–almost reading one’s mind. Mobile adoption rates are increasing all over the world and smartphone engagement is playing an important role in decision making process for customer purchases. Today we know where our consumers are, what their preferences are and even predict what they would like to find or buy in the next moment. As in any journey, experience is foremost. Purchase intention and positive brand image increases with brand service and engagement value and flow experience. Brands need to step up their game to improve the experience throughout the buyer’s journey. When users pick up their mobile devices, the primary expectation is to access content, find help, share information and get things done in that very moment. When marketers fail to meet the immediate needs of their users or serve content and information that is irrelevant, the services and content can be a turnoff for the user. Mobile offers an incredible opportunity to engage consumers with highly targetable deals and services closest to the users’ purchase or consumption intent. If brands can deliver service and content in expected immediacy and context, users’ likeability factor is likely to increase. A recent success story of a company that meets users’ immediate needs is Uber. Uber is a car service company that immediately connects riders and drivers through its mobile app. 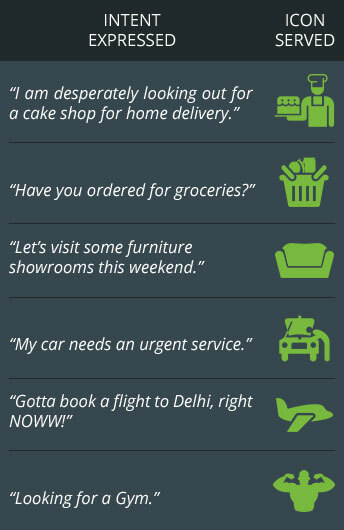 The Uber smartphone app accepts real-time requests from users who want immediate car service. Uber’s efforts are just one example of how meeting the immediate need of a user is shaping the future of search and service. On relevancy and hyper-context, Emu promised to be an efficient messaging app that lets its users message each other about say, a lunch date and get instant information on restaurant location or ratings etc. within the app. Letting you do more of what you need in fewer clicks or switching between apps, Emu did promise to do a lot, and has been a recent Google acquisition. We might see its integration with Google which already is refining its capabilities in delivering relevant and hyper-contextual search results. Another interesting player who got their mobile moment story right is WeChat. With a single usecase of enabling their users in China to book a taxi ride from within the chat context, their taxi ride partner Didi Dache received 0.7M taxi bookings per month via WeChat. That is a vision of meeting a pertinent user need in the mobile moment. Mobile ads are usually not click-worthy because they interrupt users’ actions and experiences. When users are playing a game, watching a video or browsing the Internet, they do not want to be interrupted by pop-ups or an unexpected ad. Interrupting users’ experiences inhibits a brand’s ability to engage consumers and limits the effectiveness of the service and offering. One way to drive an effective user engagement and to create a positive user experience is to give users control and let them decide how and when they want to interact with a brand. Another way is build the intelligence around the consumers needs at the point of intent to bring relevancy and accuracy to the brand engagement. Customers tend to perceive pre-targeted content and services in a more positive light when they have more control. Marketers must focus on giving careful consideration of users’ needs, preferences, interests and context. A hyper-contextual, useful user experience combined with an uninterrupted flow is essential for a successful campaign and a positive brand image. Early this year Jason Spero, Google’s head of performance media, talked of helping advertisers realise and measure the ‘full value of mobile’. He touched on Google’s vision of mobile moments around a consumer that marketers must engage with and part of how locally relevant experiences is relevant to this vision. In alignment with the the ad-tech momentum around mobile moments, we have spent more than a year researching and prototyping products that define hyper-contextual happy mobile moment experiences for consumers. Ensuring likability and user engagement through a user’s mobile experience, Xploree intelligently empowers users to discover & search services, content, deals and offers when they need it. Xploree, powered by KeyPoint Technologies is an innovative search and discovery platform that is user initiated and non-intrusive. Providing what perhaps Emu could not achieve, Xploree is a platform that works with all messaging apps, helping marketers and brands to connect with users in three ways: through discovery, search and intent. By 2018, e-commerce sales across many retail categories are projected to grow to USD 414 billion. With increased innovation opportunities and users that are more receptive to finding new technology that serves them in their ‘mobile moment’, this is an exciting time for brands to improve their users’ mobile experience and buying process. 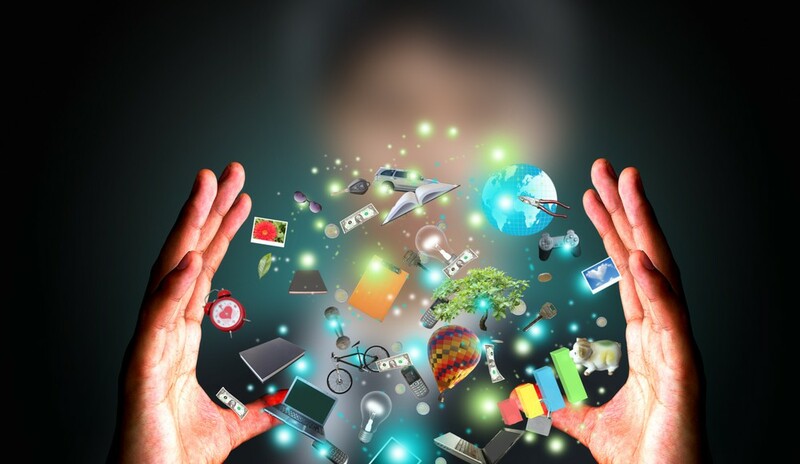 The proliferation of smart devices and the latest technologies have changed the way people interact with each other, unlocking several opportunities for e-commerce players to make the most of the available technologies. Mobile devices are increasingly becoming the preferred media choice with the greatest impact on consumer purchasing behavior. With millions of users around the world accessing mobile info in local languages, there is no doubt that localized campaigns and local-language content is ranking high in marketing strategies. Companies and organizations are now reaching out to a wider set of audiences and making products available to them. Recent studies show that most Internet and mobile users prefer localized content and ads. With multilingual ad campaigns, marketers have a better chance in building an effective campaign with a wider reach and have a huge opportunity to promote their products and service in a global marketplace. The growth of the Internet has placed businesses in a position where international trade is virtually on their doorstep. However, we live in a world where there isn’t one uniform language and that’s a key fact to accept. To be recognized as a global player it is important to communicate in the local language of the particular region. A solid localization strategy incorporates multiple languages. It is a general mindset that customers are more likely to trust and do business with companies who can interact with them in their most preferable language. To build a strong presence it is important to secure and make consumers feel comfortable so that they can learn more about your business in their own language. When companies use the multi lingual approach it shows they care and understand the requirements of their users or consumers. A properly designed multilingual marketing strategy can break down potential cultural barriers. Overseas customers can stay in their comfort zone rather than struggling to understand what is being communicated to them. Culturally informed usability is never a bad thing. A study earlier this year by Flurry shows that consumers spent 139 minutes out of 162 minutes of overall mobile engagement per day with apps. Hence for publishers it becomes important to bring value to the consumers with delightful features and offerings in their local language. The language forms a key piece in the mobile moment of a glocal consumer. To capture a bigger portion of the global ecommerce pie, marketers must understand the importance of mobile as 50 percent of people who own a mobile phone use it as their primary Internet source. It is important to include a localization strategy that suits all of your business goals no matter where you’re doing business. It’s all about delivering the right message to the right audience at the right time, in the mobile moment. Today mobile offers us this capability to capture, analyse and execute in real-time on users immediate needs. Mobile is the disruptive force that is here to change long standing business models. When building a consumer strategy for your app, it is important to understand that the journey to business success begins with the consumers. Influential factor of brand messages and services increases when the message caters to the consumer’s need, preferences, and context. 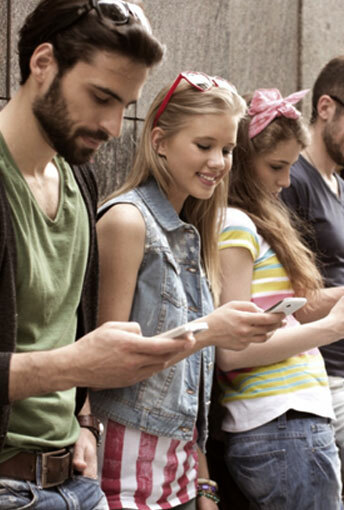 Engagement and incentives can make mobile moments more memorable.